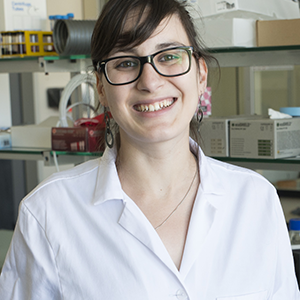 Dr Laura Rodriguez-Lorenzo is a Research Fellow at INL funded by a Marie-Curie COFUND. She works at the Department of Life Science, within the Water Quality unit. The research project she is involved at is focused on the development of devices able to monitor in real time the purification of urban wastewater from persistent organic pollutants. The goal of her project is the design and optimization of new Surface-enhanced Raman scattering (SERS) monitored photocatalytic water treatment. She received her Ph.D. from the University of Vigo in 2012, under the direction of Professors Luis M. Liz-Marzan and Ramon A. Alvarez-Puebla. Her thesis was related to plasmonics, SERS and their application in sensing. She joined the BioNanomaterials group in the Adolphe Merkle Institute at the University of Fribourg, Switzerland in 2012 as a postdoctoral researcher. Then, her last two years (2016-2017) in this group she was a group leader. Her present research interests mainly focus on the synthesis of metallic nanostructures and hybrid composites, environmental and biosensing application, nanomedicine, studying the interactions of nanomaterials with biological systems, detection of nanoparticles in consumer products, and surface-enhanced spectroscopies.